Course Description: Learn to create drawings of SOLIDWORKS parts and assemblies with SOLIDWORKS Drawings Training. 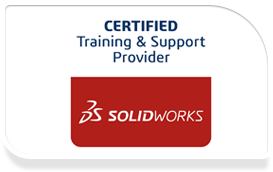 With the aid of this SOLIDWORKS Drawings Training you can learn about creating drawings of SOLIDWORKS parts and assemblies. This course is taught over a span of two days by our team of experienced professionals. Nine lessons are included in this course which aim at imparting overall understanding of drawing, with information about dimensions, annotations, sheet formats and templates, assembly drawing views, and bill of material and tables among others.